We headed to Healdsburg for the weekend with Chris’ parents — they’re out visiting from Wisconsin. Monti’s Rotisserie & Bar in Santa Rosa was a good pre-wineries lunch spot. 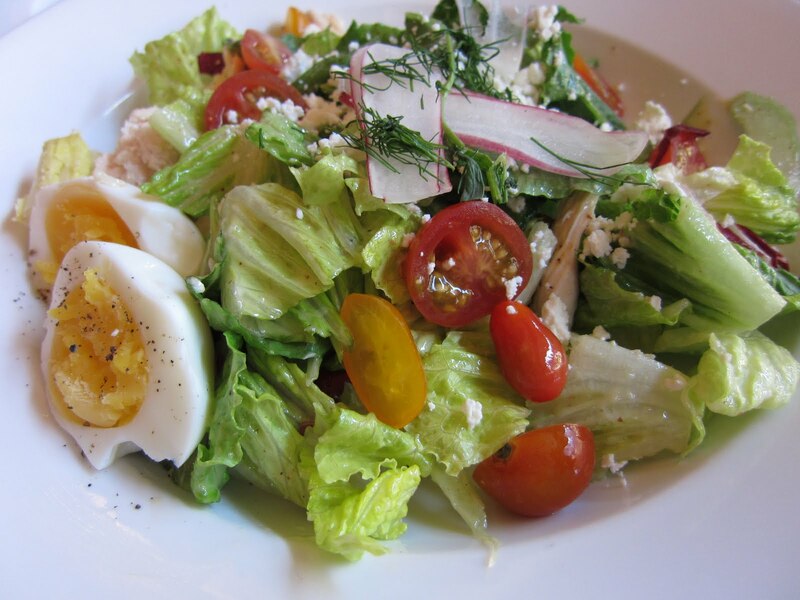 I enjoyed a French Cobb with Romaine, roast chicken, tomatoes, feta, hard-boiled egg and a mustard-herb vinaigrette.